Exploration for oil and natural gas begins with examining the surface and sub-surface structure of the earth, and determining where it is likely that oil and natural gas deposits might exist. 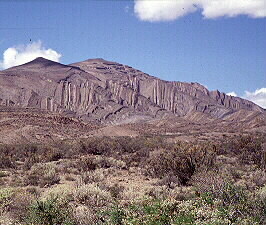 It was learned in the mid 1800's that anticlinal slopes had an increased chance of containing deposits. Anticlinal slopes are areas where the earth has folded up on itself, forming a dome shape that is characteristic of a great number of oil and natural gas reservoirs. The geologist gathers his information from variety of sources, including outcroppings of rocks on the surface, or in valleys and gorges; geologic information attained from rock samples from irrigation ditches and water wells; and from other oil and natural gas wells. Combining this information allows the geologist to make inferences as to the fluid content, porosity, permeability, age, and formation sequence of the rocks underneath the surface of a particular area. Seismology refers to the study of how energy, in the form of seismic waves, moves through the Earth's crust and interacts differently with various types of underground formations. In 1855, L. Palmyra developed the first seismograph - an instrument used to detect and record earthquakes. This device was able to pick up and record the vibrations of the earth that occur during an earthquake. However, it was not until 1921 that this technology was applied to the oil and natural gas industry and used to help locate underground reservoirs. The basic concept of seismology is quite simple. The Earth's crust is composed of different layers, each with its own properties. Sound waves traveling underground interact differently with each of these layers. Scientists and engineers are able to artificially generate seismic waves and record data as they travel through the earth and are reflected back toward the source by different underground layers and formations. Just as a ball bouncing on concrete behaves differently than one bouncing on soft ground, seismic waves sent underground reflect from dense layers of rock differently than from porous layers of rock. These differences allow the geologist to characterize underground geologic features. While the actual practice of seismic exploration is quite a bit more complicated and technical, these are the basic concepts that apply. In onshore seismic exploration, seismic waves may be produced by dynamite detonated several feet below the ground surface. However, due to environmental concerns and improved technology, seismic crews increasingly use non-explosive seismic technology. This usually consists of large, heavy, wheeled or tracked vehicles carrying special equipment designed to create a large impact or series of vibrations. These impacts or vibrations create seismic waves similar to those created by dynamite. In the seismic truck shown, the large piston in the middle is used to create vibrations on the surface of the earth, sending seismic waves deep below ground. Sensitive instruments called geophones are used at the surface to record reflected waves and transmit the data to seismic trucks for later analysis. To generate seismic waves, large air guns that release bursts of compressed air underwater are used. The air guns create seismic waves that are transmitted through the water and then through the earth's crust where seismic reflections are generated from underground surfaces just as in onshore exploration. To pick up the seismic reflections and generate seismic data, instead of geophones the devices that serve that purpose are called hydrophones. They are towed behind the ship in various configurations depending on the needs of the geophysicist. In addition to using seismology to gather data concerning the Earth's crust, the magnetic properties of underground formations can be measured to generate geological and geophysical data. This is accomplished through the use of magnetometers, devices that measure the small differences in the Earth's magnetic field. In the early days of magnetometers, the devices were large and bulky, and only able to survey a small area at a time. But in 1981, NASA launched a satellite equipped with magnetometer technology. This satellite, called Magsat, allows for the study of underground rock formations and the Earth's mantle on a continental scale, and provides clues as to tectonic plate movement and the location of deposits of petroleum, natural gas, and other valuable minerals. Different underground formations and rock types all have a slightly different effect on the gravitational field that surrounds the Earth. Geophysicists can measure these minute differences using very sensitive equipment called gravimeters. They can analyze this measurement data to gain additional insight into the types of underground formations and whether those formations have the potential for containing oil and natural gas reservoirs. The drilling of an exploration or appraisal well is the first opportunity that a geologist or engineer has to examine the actual contents of the subsurface geology. Logging refers to inspections and tests performed during or after the well-drilling process that allow companies to both monitor the progress of the drill and gain a better picture of specific subsurface formations. In addition to information specific to a particular well, vast archives of historical drilling logs are available for use by geologists interested in the geologic features of a given, or similar, area. Logging is essential during the drilling process. Monitoring drill logs helps ensure that the correct drilling equipment is being used and that drilling is discontinued if unfavorable conditions develop. There are a variety of logging tests that can be performed that illuminate the true composition and characteristics of different layers of rock that the drill passes through. Details regarding the various types of logging tests that can be performed are too numerous to detail here. Various types of tests include: standard, electric, acoustic, radioactivity, density, induction, caliper, directional and nuclear logging, to name but a few. However, two of the most commonly performed tests are standard logging and electric logging. Standard logging consists of examining and recording the physical aspects of a well. For example, the drill cuttings (rock that is displaced by the drilling of the well) are examined and recorded, allowing geologists to physically examine the subsurface rock. Also, core samples are taken, which consists of lifting samples of underground rock through which the drill passes intact to the surface, allowing the various layers of rock and their thicknesses, to be examined. These cuttings and cores are often examined using powerful microscopes, which can magnify the rock up to 2000 times. This allows the geologist to examine the porosity and fluid content of the subsurface rock, and to gain a better understanding of the earth in which the well is being drilled. Electric logging consists of lowering a device through the 'down hole' portion of the well to measure the electrical resistance of rock layers. This is done by running an electrical current through the rock formations and measuring the resistance along the way. This gives geologists an idea of the content and characteristics of fluids found in the rock. A newer version of electric logging, called induction electric logging, provides much the same types of readings but is more easily performed and provides data that is more easily interpreted. Raw data from logging work would be useless without careful and methodical interpretation. An example of the data obtained through various forms of logging is shown here. In this representation, the different columns indicate the results of different types of tests. The data that appear as 'squiggly' lines on the well data readout is interpreted by experienced geologists, geophysicists, or petroleum engineers. Much like putting together a puzzle, the geophysicist uses all data available to create a model, or educated guess, regarding the structure of the layers of rock underground. Some techniques, including seismic exploration, lend themselves well to the construction of a hand or computer generated visual interpretation of underground formations. Other sources of data, such as that obtained from core samples or logging, are taken into account by the geologist when determining the subsurface geological structures. It must be noted, however, that despite the amazing evolution of technology and exploration techniques, the only way of being sure that a reservoir exists is to drill an exploratory well. Geologists and geophysicists can make their best guesses as to the location of reservoirs, but they are not infallible. Two-dimensional seismic imaging refers to the use of data collected from seismic exploration activities to develop a cross-sectional picture of the underground rock formations. The geophysicist interprets seismic data, taking the vibration recordings of the seismograph and using them to develop a conceptual model of the composition and thickness of the various layers of rock underground. This process is normally used to map underground formations and to make estimates based on those geologic structures to determine where it is likely that oil and natural gas deposits may exist. One of the greatest innovations in the history of oil and natural gas exploration is the use of computers to compile and assemble vast amounts of geologic data into a coherent 'map' of the underground. Use of this computer technology is referred to as computer-assisted exploration (CAEX).